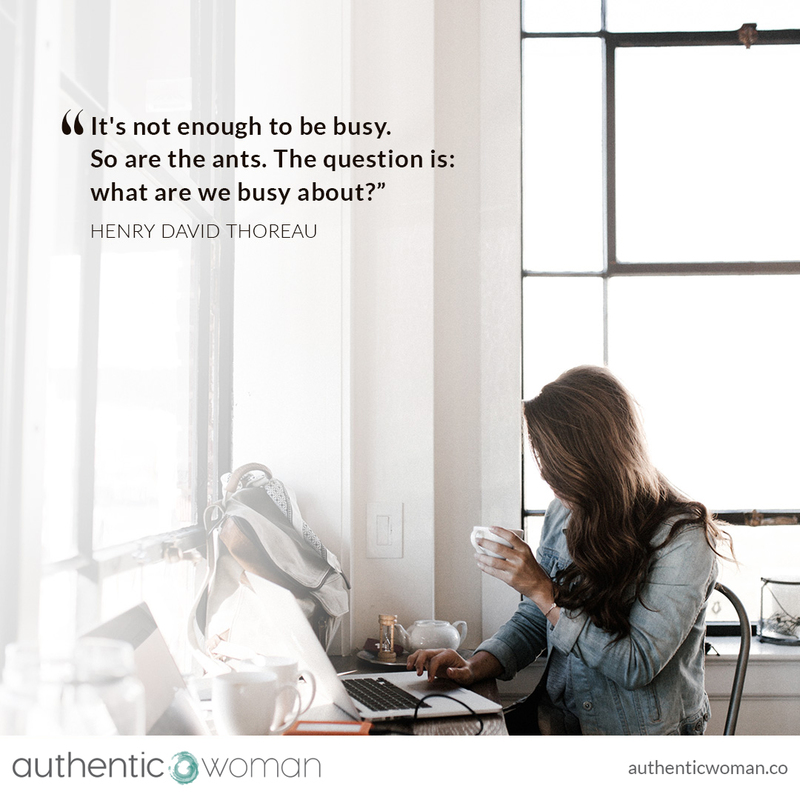 I’ve wondered why busyness can be so compelling? I’ve been putting the busyness of my life under the microscope for a few years now and made some interesting discoveries. I’ve noticed that the danger with busyness is that it can become the baseline of my daily experience. So much so that it can feel like the rhythm of busyness finds its way into my cells pretending to be my natural tempo. I can live in thrall to busyness and use my to-do list to fuel the autopilot of my days and forget that I have the agency to make my own choices in each moment. I’ve wondered why busyness can be so compelling for me: does it give meaning to my life; does it keep me from feeling down, does it distract me from my uncomfortable emotions or from the fear of uncertainty? Does busyness make me feel important, feel productive, feel worthy? At different times I’ve answered yes to all these questions. I started to reevaluate my relationship with busyness in my moment-by-moment experience of my daily activities. I discovered that time is not really pressing down upon me ‘making’ me feel busy; but rather my relationship to time determines how I feel in any given moment. What matters more than the activity I’m engaged in at any particular moment is how I inhabit the moment. When I can find that stillness and quiet inside myself while still engaged actively on the outside, the tyranny of busyness can drop away. One very practical way I do this is to take one or a few deep conscious breaths and come to my body, to the sensations in my body. This simple practice, which we call Conscious Breath/Conscious Body has a way of shifting my relationship with time and busyness and allows me the chance to drop in a little with myself and find a moment or two of rest. And done throughout the day this simple practice acts as speed bumps in my day ensuring I and not my ‘to do’ list are in charge of my day and how busy or not it truly is.